HIIT Workout Videos - Have you ever tried TRX? HIIT training is linked to the basic technique alternating periods of time containing high-intensive exercising and short periods of the rest for a certain number of reps. These short intense intervals of cardio or strength workout with kettlebells, weights, dumbbells, Rip Trainer, TRX or other tools deliver increasing of fitness and fat burning during shorter period of time than many other workout methods. 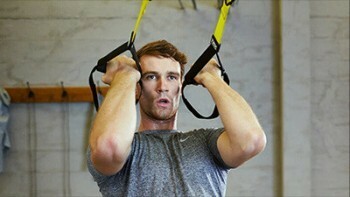 Why would you integrate TRX into your HIIT? Assemble your own TRX HIIT training! HIIT Workout technique can be applied either as a separate exercise plan in case that you are in a hurry, or as an intense complement to your existing workout plan. HIIT training can literally have hundreds of forms. One of the favourite is Tabata training. Depending on your objectives, combine exercises, tools and time intervals to obtain the optimal result. 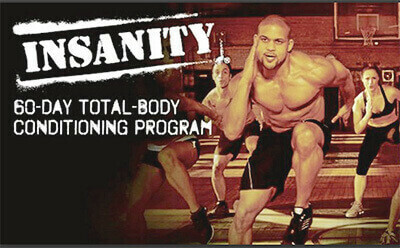 Insanity is the hardest 60 day workout ever put on DVD. This workout is an upside down interval training using maximal heart beat frequency. Get ready, because this will be insane! You don’t need to experience long and in the course of time boring exercising on the equipment and machines. Precisely because of TRX and its variability you can mix rich cocktail of HIIT training plans. You can start slowly and gradually add momentum and raise your aims. Now you know what TRX HIIT training is. Implementation of this technique into your training plans improves your performance and condition and it is the best way to lose weight. 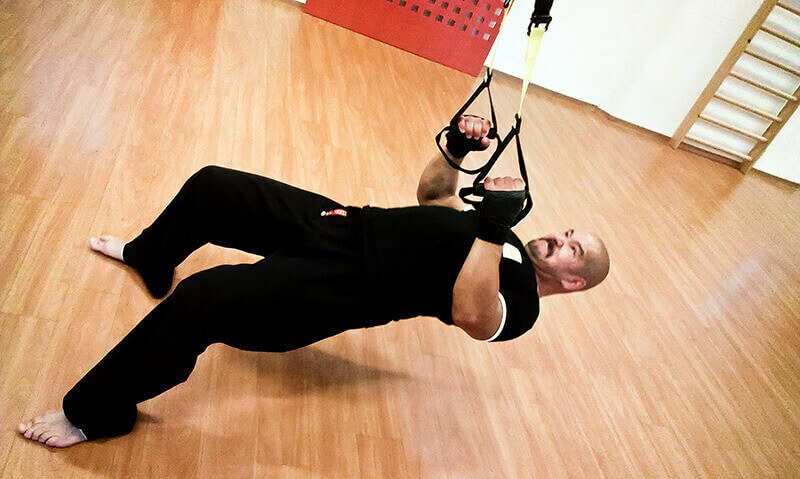 Don´t you know which TRX exercises fit into your HIIT training in order to reach the maximum efficiency? In TRX suspension workout there are represented countless fitness techniques, which are focused on core muscles (CORE). Strong CORE is the basis of all effective and efficient movements. You don't need a gym to enjoy a total fitness program. 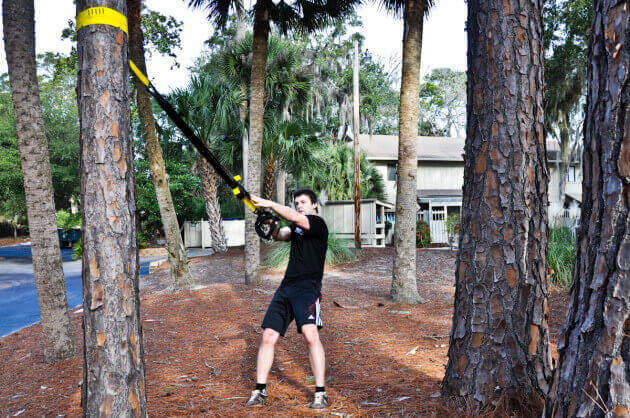 TRX suspension trainer provides everything you need to workout anytime you want, anywhere you want. TRX training is a workout you'll never outgrow! Do you want to lose weight fast? This 20 minute workout plan you are going to like and it will bring visible results.